If Norwich go up then I don't think there's any chance of him going there. fpowl, I was joking. 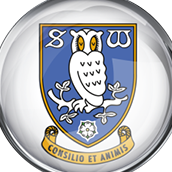 I fully appreciate the job Gary did for Sheffield Wednesday as I have said in numerous other threads about him. Interesting comments about Rhodes, I've long suspected he will get a chance under Bruce and Bruce will be the man to get him firing again.